The Scuba BSA program is a SCUBA experience, not a certification program and thus you are not certified to dive after this program, however, if you’re a Varsity or Venturing Scout over 12 years old and choose to go on to an Open Water certification program after this, you will receive a $30 credit toward your Scuba Diver Certification course at Diver’s World. 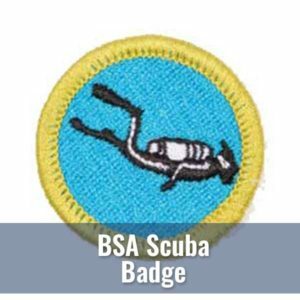 Not only that, as of 2009, BSA has introduced the new Scuba Diver MERIT badge which you may obtain by taking our Scuba Diver course. The Scuba BSA experience contains two parts— Knowledge Development and Water Skills Development. Scuba Equipment Review – mask, snorkel, fins, environmental suits, weight belt, BCD, BCD inflator, regulator, alternate air source and instruments/gauges. BSA Swim Test – Jump feet first into water overhead in depth. Swim 75 yards in a strong manner using one or more of the following strokes: side stroke, breaststroke, trudgen, or crawl; then swim 25 yards using an easy resting stroke. The 100 yards must be completed in one swim without stops and must include at least one sharp turn. After completing the test, rest by floating. 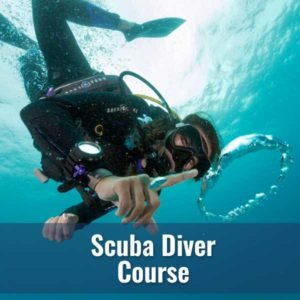 In order to participate in the Scuba BSA course at Diver’s World students must be a registered Boy Scout or Venture Scout 10 1/2 years or older. Students will be required to complete a BSA swimmer test at the start of the pool session. All participants must complete and submit a short medical questionnaire at least two days prior to the start of the class (although not common, please note that depending on the results of your medical questionnaire, some students may be required to obtain a physicians release). Scuba BSA will be scheduled as requested by interested Scout troops with a minimum class size of eight (8) participants (Boy Scouts, Venture Scouts and/or adults). Interested troops are requested to recruit at least eight participants and contact Diver’s World so that we can make the pool arrangements to best suit your troop’s needs. Diver’s World attempts to schedule out at least two months in advance for courses. Please notify us of your interest as soon as possible so that we can accommodate your budding divers. Your class fee of $65 per participant will cover the costs of class, pool time, Scuba BSA patch, educational materials, your Instructors and Dive Master as well as use of the equipment (mask, fins, snorkels, tanks, buoyancy compensation device (BCD), and regulators). A deposit of $100 will hold the agreed upon scheduled date and payment is due in-full one week prior to the schedule date. Scuba BSA participants will receive a 10% off coupon that may be used by the Scuba BSA student for mask, fins, snorkels, dive boots, and dive glove equipment purchases at Diver’s World. While not required for Scuba BSA, many students prefer to bring their own personal equipment. 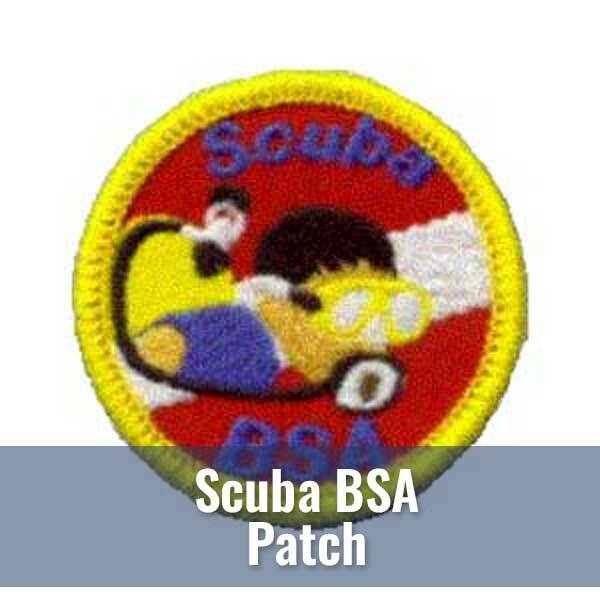 Earn the full BSA scuba merit badge.